If you’re in the real estate business, you’ve probably noticed that the Florida market, at least, has recovered very well from the previous financial crisis that plagued us all a mere ten years ago. In short, it has made rental properties as well as real estate sellers profit as well as the entire economy. This sharp turn has found desirable locations experiencing steady returns on the owner’s real estate investments and rendered us all a little wealthier and financially stable. 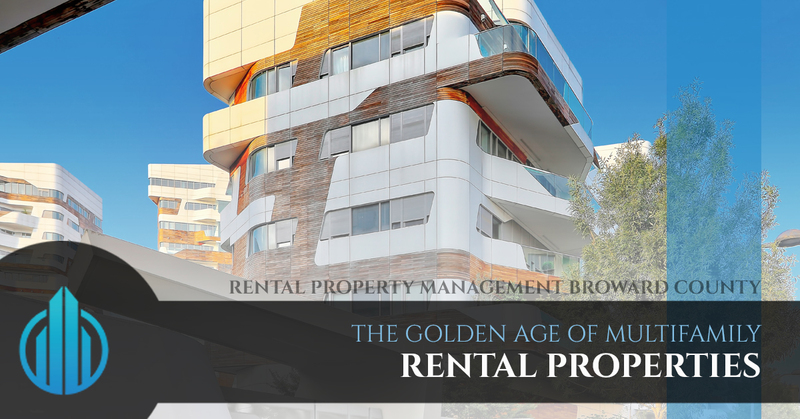 Economists, as well as rental property owners, have had a fair amount of time to stop, smell the flowers and make educated market analysis and everyone’s been falling on one answer: it’s the golden age of multifamily rental properties. Anything that registers as 5 to 50 units is a pretty broad net to throw over so much real estate, but we have good reason to make this claim. Though it’s had a minor turn down, it’s still a seller’s market in Broward County. Which means that since the supply is so high priced and the demand for places to live is so high, rental properties are the answer. If there’s less affordable housing to buy, the only option is to rent. Factor in that there is an ever-widening gap in the rental rates between the Class A properties, which are largely institutionally owned, and the Class B and C properties, as well as the fast leasing and turnovers. Mixed that with a stable workforce demographic from the Millennials and you’re looking at a perfect storm. In fact, it does appear that property owners will be sitting pretty until it shifts away from a seller’s market, which does not look to be forecasted anytime soon. Should You Get On The Bandwagon? 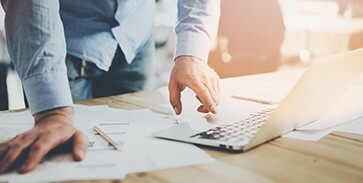 The majority of the challenge in regard to finding funding is actually finding a capital provider that will guide you to deliverable terms and actually bring those terms to fruition. When faced with so many options, the buyer will often experience a post of over-analysis paralysis. Apart from that, finding financing options is much like choosing the property itself. If you approach it with a logical head and give yourself time in between the initial shopping experience and the commitment itself,, you should be able to weigh your options easily enough. They provide liquidity, stability and affordability to the mortgage markets throughout the U.S., and if you’re interested in getting in on the Golden Age of multifamily residential properties, you’re going to have to take it into account. They’ll be the ones providing liquid assets to the bank you choose for the loan and savings you need to secure your mortgage for this rental property. This directly applies to you because Freddie Mac just rolled out the Small Balance Loan, or SBL, that caters to small multifamily property owners. It funds billions of dollars worth of housing loans and is a necessity for the rental property business. Their parameters for qualifying for that assistance changes a little bit all the time and the organizations are constantly working to support more folks like you. The first thing you should know about financing strategies is how to alter it to your needs. Whatever your objectives for this venture are, your strategy needs to reflect that end goal in every single step. For example, a long-term strategy to hold the property would probably find that the best execution of this strategy will be through Fannie Mae with fixed-rate terms for up to 30 years. It helps keep those interest rates under control the entire time. Rather than try to navigate any of this on your own, turn to those near you who have the most expertise. 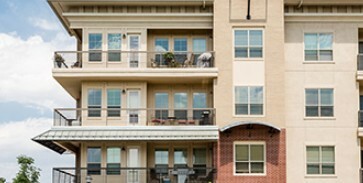 DNS Property Management has helped many properties gain their footing and operate with extreme efficiency. There’s no reason you shouldn’t be able to take advantage of the honed skills of a property management company that can help you with real estate investment. Reach out to us to find more.